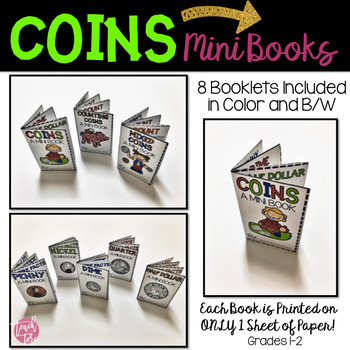 Your students will absolutely love making these Mini Books for Counting Coins ! 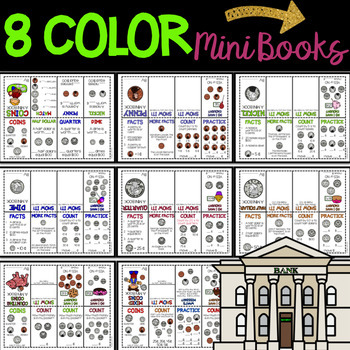 This No-Prep Printable packet has everything you need to teach coins and the best thing is that each booklet prints on one single page! 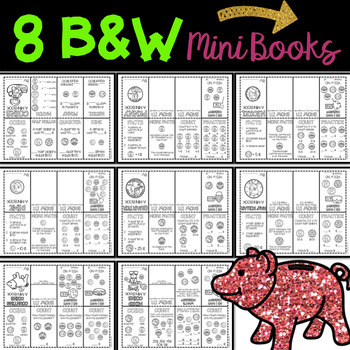 The set includes 8 different books in color and black and white printable options! Also included in the pack is a step by step guide on how to fold and assemble the book! 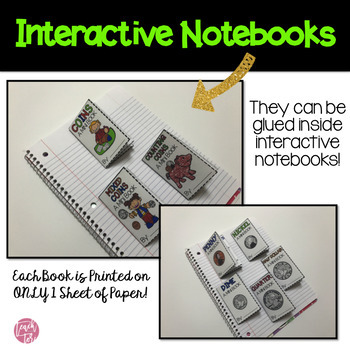 All your students will need is a pencil, the paper, and scissors (no glue or tape required )! Each of the 8 books provide students with information about the coins and then has different questions for students to answer. Don't forget that leaving feedback earns you points toward FREE TPT purchases. I do love that feedback! Also, follow me and be notified when new products are uploaded. New products are always 50% off for the first 24 hours after they are posted. It pays to follow me!